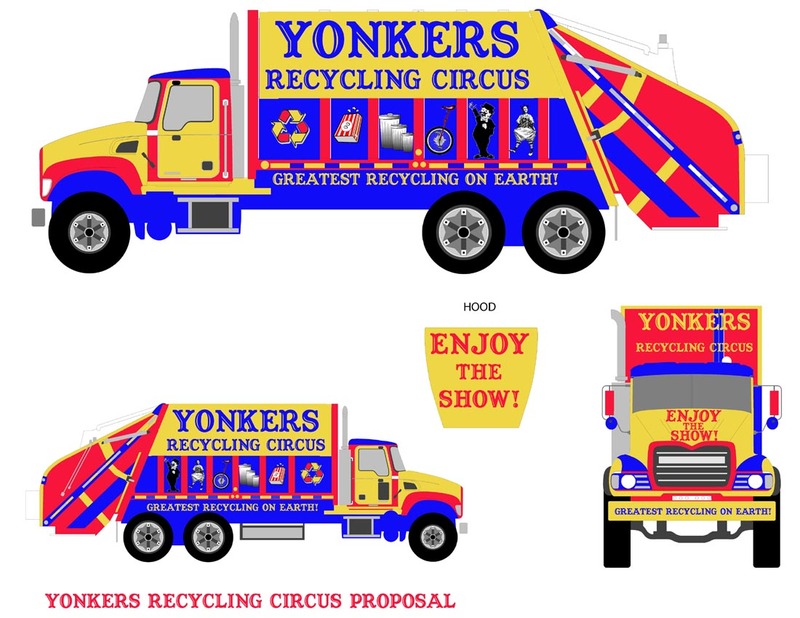 The City of Yonkers’ Office of Economic Development sponsored a contest/competition to transform garbage trucks and recycling trucks into "mobile art galleries" Although I'm not an illustrator, I entered the contest with the concept of a "Recycling Circus" Truck. My idea is that the trucks should be brightly colored, fun to see, and generally cross-connect fun, recycling, and circus. The images that I've chosen (that will adorn the truck) are subject to negotiation and if chosen, I'll find better images to use. Comments on "Yonkers Mobile Art Galleries"